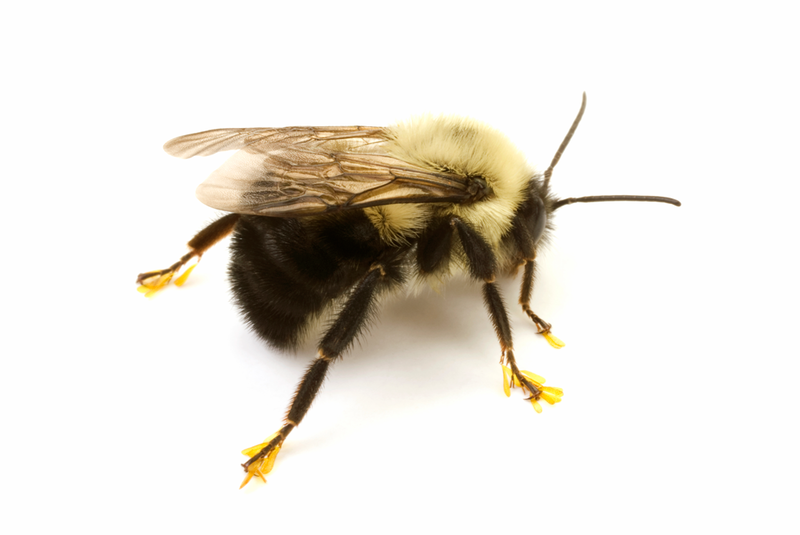 Bumblebees are large, fuzzy insects with short, stubby wings. They are larger than honeybees, but they don’t produce as much honey. However, they are very important pollinators. Without them, food wouldn’t grow. While other animals pollinate, bumblebees are particularly good at it. Their wings beat 130 times or more per second, according to the National Wildlife Federation, and the beating combined with their large bodies vibrates flowers until they release pollen, which is called buzz pollination. Bumble bees are found throughout the Northern Hemisphere from the Arctic tundra to deserts and forests. Interesting fact…only female bumble bees have stingers!